What does it mean to be a child of Empire? I’m not quite sure, but the complex roots of my ancestors stretch across small prairie towns and all the way back to Ireland, Scotland and England. I am Metis: an offspring of the fur trade and all of its complexities, paradoxes and rich histories. 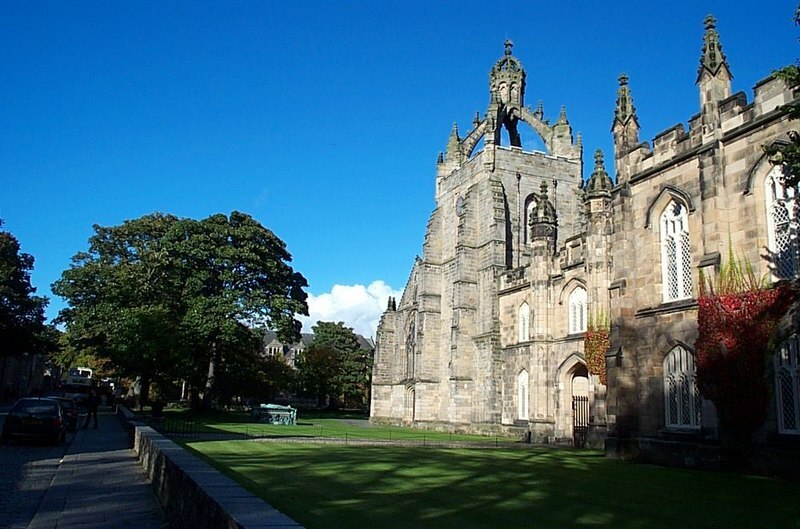 Today I study Indigenous issues from the cozy offices of the University of Aberdeen in Scotland, and the irony of coming back to the United Kingdom — the former colonial Empire — to study Indigenous realities in my own country is not lost on me. Whatever drew me back here to the place where the contemporary experience of suffering of Canada’s Indigenous people began, I’m here now. And I am watching the Scottish Independence debate with great interest. At a Trudeau Foundation event in May, Metis scholar, writer and playwright Maria Campbell — author of the seminal personal memoir Halfbreed — urged us to remember that everything that happened to Indigenous Canada at the hands of the British was practiced on the Scots and Irish first. It was with horror that I first learned in 2010 about the Clearances and the devastating impact they had – and continue to have – on Scottish life. These parallel or shared sufferings weave our collective experiences together, as groups who were repressed by the English in the name of Empire. Though, I admit I hesitate when Scottish Independence campaigners assert their “Indigenous” rights to self-determination. It seems a jarring notion, this Indigeneity, given the extent to which Scottish actors were complicit in the oppression of Canada’s Indigenous peoples. Perhaps this is what drew me into querying the relationships between Scotland’s plight and that of Indigenous peoples across Canada. What I realize, now, from living and working in Scotland, is just how deep the relationship between Canada and Scotland runs. From the Scottish place-names that litter my childhood, to the tartans and pipes that narrate so many of our public events: Canada is, in the historical sense at least, a very quintessential Scottish product. Until I moved abroad, I did not understand the extent to which Canada was administered into existence by Scottish clerks, traders and labourers — though they are hardly the only people to have shaped Canada into what it is today. These men, recruited from the Orkneys and the Highlands and other parts of Scotland, worked for the Hudson’s Bay Company and other fur-trade enterprises, allying themselves with Canada’s Indigenous peoples in order to send beaver pelts back to an insatiable (and chilly) European market. John A. Macdonald, Canada’s first Prime Minister and architect of the sinister Victorian-era policies to ‘kill the Indian in the child’ and the racist Indian Act, was himself born in Glasgow in 1815. The oppression of the Scots, namely the dispossession and exploitation of certain groups of Scottish peoples and their lands, was re-created with startling fidelity on French and Aboriginal populations across the territories that today make up Canada. Fellow ex-pat colleague Koreen Reece points out that Margaret Atwood illustrates this in the 1978 poem “Four Small Elegies: 1838, 1977” – which explores the repression of Beauharnois by the English in 1838. The line “Those whose houses were burned/burned houses/Whatever else happens once you start?” illustrates how recriminations against French people were carried out in part by Scottish men who had themselves lost homes in the Clearances. In recent months, evidence has emerged that illustrates just how Canada’s anti-Aboriginal policies, championed by Macdonald, led to reprehensible practices. This confirms what many Indigenous people have been saying all along. Ian Mosby details in his May 2013 article in Histoire Sociale/Social History how starvation studies were carried out on Aboriginal children in care, and we now have evidence of multiple different drug experiments on Indigenous children removed from their families to attend residential schools. Many, including former National Chief of the Assembly of First Nations, Phil Fontaine, argue that these actions meet the criteria of genocide. However, I have watched with incredulity as Canada’s new Human Rights Museum refuses to label an exhibit on residential schools as such, offering meekly instead to allow the public to ‘come to their own conclusions’. It is of course dangerous for me, as an outsider, to over-simplify Scottish identity, nationalism and history. Not all Scottish peoples experienced the same traumas, nor do all agree on how to address or acknowledge oppression within Scotland. As David Zylberberg pointed out in his recent post, there is no cohesive or uniform Scottish ‘nation’ at this time. In my chats with folks in the north-east it is apparent that rifts in the national fabric exist. More than one Aberdonian taxi driver has summed up their thoughts on independence by saying “Edinburgh is no better than Westminster”, and many people in Aberdeen and Dundee do share a healthy skepticism of both Scottish and English politics. Further, life on the Mainland is different than life in the Isles, and the resultant internal disparities between central Scotland and more remote areas may or may not be addressed by a sovereign government. Similarly, it is also difficult to sum up Metis nationalism in one swift statement, as different histories shape unique Metis experiences across Canada. So, my comparison of Indigenous and Scottish oppression is at very best a simple one, and requires a great deal of nuance and caution. Despite these complexities in the narrative of Scottish nationalism, I still see a reconciliation of Scottish oppression as an invitation to a dialogue on healing of Indigenous Nations in Canada. I look upon Scottish Independence as a fascinating opportunity for an Indigenous population to reconcile the roots of its own oppression. What was practiced upon both Scottish and Aboriginal peoples was borne of the political, sociological and religious views of the time. A hierarchy of suffering emerged in which some Scottish people dispossessed of their own lands came to our country, and some re-created the horrors of their own experiences on Indigenous communities. This was reinforced by British policies that repeated the dispossession experienced by Scottish and Irish peoples upon our own Indigenous population. As a Metis woman living in Scotland, I view the upcoming independence vote as an invitation to a broader dialogue about the reverberations of colonialism within and outside of the United Kingdom. I hope that, as part of its pursuit of self-determination, Scotland can also reflect on the role its people have had on marginalized and oppressed peoples elsewhere. My ‘yes’ vote in the upcoming referendum is an act of healing – I vote for Scottish sovereignty with audacity and resolve. I can only hope that my own people, the Metis, can some day experience the meaningful self-determination and reconciliation that Scotland strives for, so that we all have the dignity to heal and move forward in the spirit of love and strength. On my father’s side, I’m a descendant of the Highland Clearances. If deciding for independence, the Scots need to give close attention to the mistakes made in Ireland. Very well written. This relates to an impression I have had that British imperialism is a continuation of the juggernaut launched by the Roman Empire, focused on technological, military, political, and economic dominance. When looking at origins of aboriginal suppression, it seems all chains lead to Rome. It was Roman political and military systems that have enslaved and suppressed European indigenous peoples, (e.g. the Celts in England). Roman imperialistic attitudes and practices were emulated in the British subjugation of Ireland and Scotland, and later North American aboriginals. Superior technology and military organization won out over each indigenous society, that in turn infused their own aboriginal cultures into the conqueror’s culture. For example, aboriginal political systems became the model for the constitutions of the U.S., Canada, and United Nations. This created a powerful new empire, that has influenced the development of other modern nations based on similar constitutions. The technological dominance of North American culture on the rest of the world and its other indigenous societies abroad continues this Roman campaign under a new name – Globalization. Aquaducts have been replaced by golden arches. Our future is a struggle to reclaim the best aspects of our aboriginal culture and infuse it into any new global order. Our world is becoming a number of Metis nations, comprised of even more indigenous peoples marrying into more technologically advanced societies, bringing into the marriage their own value systems. It may come to pass that the advanced social values of indigenous peoples, may one day rebalance things, as we learn to live together more harmoniously. Political decisions will be made with the needs of whole community considered in balance with nature. Elitism and dominating class systems will be dismantled, when they threaten the whole. The Roman campaign will have ended and perhaps a new global tribal village replacing it. People may learn to live in harmony with their environment and each other, as our aboriginal forebearers aspired for the sake of mutual survival. Should this happen, people will not need the newest iPhone app to feel connected, as they will finally be integrated into the tribe already. They will feel free to communicate with each other on a bus, rather than surf. Technology will not be the carrot we chase to reconnect with what we lost as a tribe. We may finally rediscover through scientific discovery and wisdom, how we live together as an extended Metis family. I really liked the Metis perspective on Scottish independence. I hadn’t thought of the two together but of course it makes sense. I recall when I was living in the UK, there was talk of “Scottish oil” (as opposed to English or British) and then the Shetlands said in fact it was Shetland oil etc. I would be interested to learn if there is any literature on relations between the French Metis and the Scottish Metis, particularly in the 19th century. Your writing is a pleasure to read. Thanks for this excellent piece, Zoe. If you are familiar with Margaret Laurence’s book, The Diviners, I’d be interested to hear your thoughts about the way the non-indigenous author contrasts oral histories of displacement of the Métis in Manitoba following the battle of Batoche and the Scottish in Manitoba following the battle of Culloden/highland clearances. Thank you very much for sharing this excellent article. As a child of a Scot who came to Canada as a Home Child, returning to serve in WWII, I was born in England but arrived with my War Bride Mom to join Dad’s very Scottish but also very Canadian family here. Living near Six Nations I was fortunate to grow up learning something of the culture there due to my Dad’s concern and affinity for their way of life. I often have thought of similarities between the First Nations and the Scots, although there certainly were Scots involved in the colonization process , to our eternal shame. Reading my copy of the Two Row Times today, I see that our excellent Ladies’ Lacrosse Team was refused admission to the UK because they have their own passports and the UK will only recognize Canadian or American ones, apparently. They were to play in the games in Edinburgh in August. I can’t help but wonder if it would have been different if Scotland were an independent nation, as our First Nations proudly claim to be. Somehow, I think that would have been the case, and our ladies’ team would have been welcomed to the competition. Yes, some Scots were to blame for the cruel injustices imposed on our First Nations, particularly with the Residential School system which sought to destroy them, but there were also many more Scots who contributed to and became part of First Nations life, I would like both of those peoples to be able to have the independence they desire and need to retain their history and culture while exerting their right to self-determination. It was a well written article. Also interesting to note is how strong the class struggle was in England. The English could be brutal on their own people. My great-grandparents were from Manchester and were working class. They didn’t own a home, could barely pay the rent, buried their daughter, and struggled before they came to Canada. My great-grandfather was illegitimate so he was probably treated very poorly. They came to Canada and life did get better. They saw their children own homes and work, and grandchildren become educated. In three generations, many of us are dentists, teachers, lawyers etc. That may not have happened if they had stayed. This was not only well written and concise but extremely helpful. It is so hard to believe what atrocities were perpetrated upon so many 1st nations people. I recently learned of my lineage and am in shock at the realities of the history.